A whistleblowing district judge who publicly raised concerns about the stresses and strains of judicial life is seeking to crowdfund £10,000 to help overturn a Court of Appeal ruling that found judges cannot be classed as workers. Claire Gilham had argued that judges were entitled to the same benefits as workers because a contract of employment existed between them and the Lord Chancellor. Gilham, a district judge who worked in Warrington County Court, wanted to be classified as a worker so that she could benefit from whistleblower legislation which protects workers against detrimental treatment if they blow the whistle on the organisation for whom they work. She lost the case late last year. 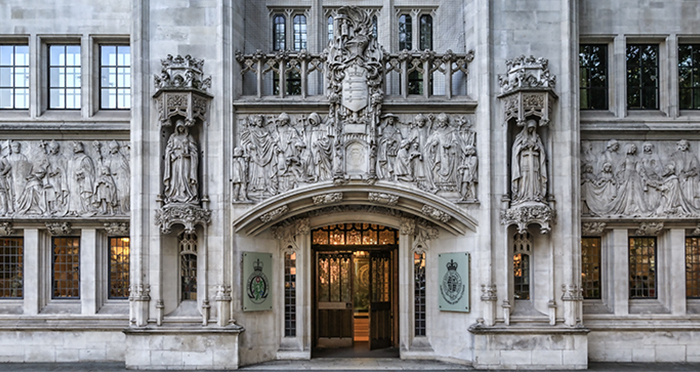 The court heard how Gilham had raised concerns to a senior judge about “poor and unsafe working conditions and an excessive workload in the courts where [she] worked”, according to the judgment. As a result of this, she claimed she was bullied and subjected to undue stress. The CrowdJustice page reveals Gilham, who is being represented by Irwin Mitchell, is looking to “raise initially £10,000 and then as much as we can for what have already been and will inevitably be more significant legal costs.” Her appeal has been listed for June next year. I would quite like to spaff £10k on a holiday. If anybody who probably earns appreciably less than me would like to chip in to pay for it, that would be peachy. Perhaps you’ll need to crowdfund your holiday, after you find you have inferior employment rights to most other European workers, after you lose your job. Why don’t IR represent her on a CFA? Good point. Maybe the £10k is the issue fee for damages over £200k? good luck getting halfway decent counsel to do a CFA on something like this. First it was Uber drivers, now it’s judges: Why does everyone want to be a worker?